Serotonin is also called the “happy substance” or “study substance” because it is associated with happiness and learning ability in modern people living busy lives. It also calms the mind and improves immunity, as well as promoting endorphin production. These substances are needed to make serotonin from tryptophan. Foods rich in magnesium: Nuts and cereals, brown rice, whole wheat, spinach, radish leaves and vegetables. Laughing out loud makes you livelier and helps to create serotonin. Laugh at least 10 times per day, make sufficient body contact, and say positive comments to each other to help create a positive mind. Your hobbies and making time for your relaxation such as learning, meditation, and other hobbies also helps. Make sure you are exposed to sufficient sunlight to ensure you have enough vitamin D production. Exposure to the sun for at least 15 minutes per day helps production of serotonin, and also helps keep depression at bay and boosts skin immunity. Bananas are not only rich in tryptophan, but also contain 10 times more vitamin B6 than other fruits to improve immunity, making them an ideal food to have in winter. Bananas are good on their own, but also in fresh juices and as a topping on other foods. Vitamin B1 in walnuts promotes metabolism of carbohydrates to prevent depression. Lecithin and calcium in walnuts strengthens nerves and the brain to prevent neuralgia and insomnia. Foods rich in carbohydrates promote the production of serotonin. Jam and butter with bread can help relieve stress to calm you. Like the saying “Eat breakfast like an emperor,” breakfast is the most important meal of the day. Not having breakfast leads to insufficient glucose delivery to the brain, causing a decrease in concentration and work abilities. Make sure that you consume five main nutrients (carbohydrates, protein, fat, vitamins and minerals) even if you have a simple meal. 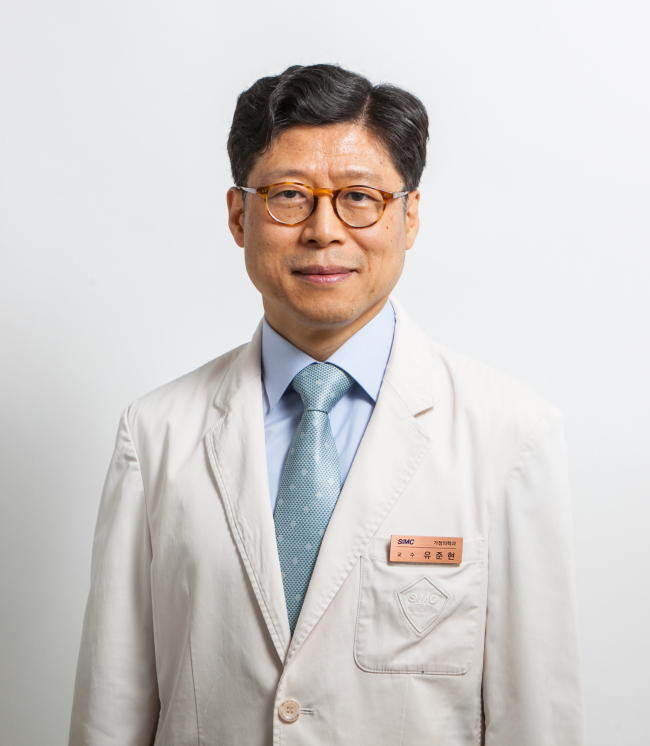 Yoo Jun-hyun is a doctor at Samsung Medical Center in Seoul who also lectures at Sungkyunkwan University’s school of medicine. ― Ed.